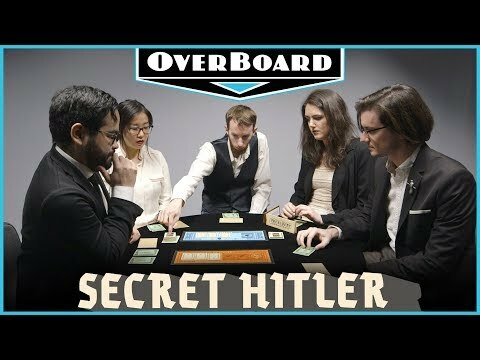 Let's have a Secret Hitler game night! Forums » General Discussion » Let's have a Secret Hitler game night! i don't know what day we'd do it but i think i'd be fun. Mark the weeks you want not the weeks you think you can or can't make. You propose something with that name, but don't know the premise? I, myself, have never heard of this type of game. Is it something like someone gets the title of the big bad and everyone else has to figure out who among us is the big bad? Your right i wrongly assumed most people have heard of the game. Here's a video of the game play. Secret Hitler, from the makers of Cards Against Humanity, is a hidden role game that simulates pre-World War II Germany's fragile government. Two players are secretly fascists, and the rest of the players have to figure out who they are... if they want to win, that is. Want more tabletop game coverage? To an extent yeah but it gives both sides the ability to stratagise not just the "Good Guy Team". Sounds fun, I love Town of Salem and if this is similar I'm down. Free online place to play it?